Sleep specialist Steve Bender, DDS, gives some helpful tips on how to create the perfect nap with small changes to your diet, lifestyle and environment. 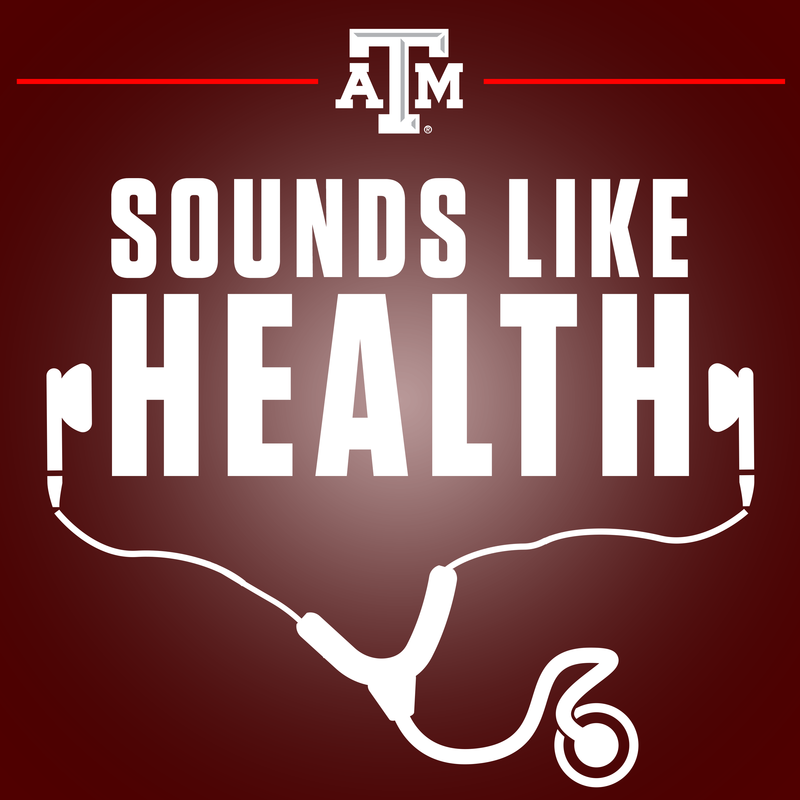 Mary Leigh Meyer: Howdy, welcome to Sounds Like Health! This is Mary Leigh Meyer. Sam Craft: I’m her co-host, Sam Craft. Mary Leigh Meyer: And we are here today with Dr. Steve Bender, who’s calling in from the Texas A&M College of Dentistry out of Dallas. He’s a clinical assistant professor and the director of sleep medicine and facial pain. Welcome, and thank you for joining us today! Steve Bender: My pleasure, thank you. Mary Leigh Meyer: Perfect, so our topic today is why do we sometimes wake up grumpy? Sam Craft: Slangry, is my term that I’m coining. I’m trademarking it, it’s mine. Steve Bender: It’s out there now, so it’s gotta be used. Mary Leigh Meyer: Let’s make it a hashtag. Why, do we wake up grumpy? I know I do, more than half the time. Steve Bender: You know the biggest factor for that is the time that we may take a nap. There’s this entity that we call sleep inertia and that’s just a, kind of a fancy term that means, basically we wake up and we feel grumpy or we feel disoriented or confused or, you know, still tired. And it has to do with how long that sleep period is. And I think most of the research would agree that it seems to be related to when we take a nap or when we go to sleep period, if we start getting into deeper sleep stages, we’re gonna be more prone to this sleep inertia when we wake up. So, bottom line is a longer nap is gonna include more of the deeper sleep time which is going to then lead to more of this grumpiness when we wake up. Mary Leigh Meyer: Oh, that’s definitely true for me at least because I feel like whenever I accidentally fall asleep on the couch or need to wake up pretty quickly, I feel like I’m always angrier? Sam Craft: You’re like startled awake. Mary Leigh Meyer: Yeah, I’m in a worse mood than if I decided to take a nap for a set amount of time in my bed. Sam Craft: I don’t know though, I mean I’m not a morning person, I know lots of people say they’re not morning people. I mean is that, waking up in the morning being grumpy, is that kind of the same concept as waking up from a nap angry? Steve Bender: It certainly can be, I mean there are people that prefer morning or prefer night and so if they’re a night person and they wake up in the morning they’re generally not as alert. But there’s other factors too that can make somebody not necessarily a morning person. That could be related to their own circadian rhythms within themselves. Or, if there’s disturbed sleep, like if somebody is not sleeping good either from some sleep disorder like sleep apnea or snoring, they’re just not gonna get good sleep and so when they wake up in the morning they’re not gonna be very happy. Mary Leigh Meyer: What is a circadian rhythm? Steve Bender: So, circadian rhythms are basically a rhythm or things that tend to occur on about a 24-hour cycle. It’s usually not exactly 24 hours but there’s certain things that happen within our system that happen on a very regular pattern that we call a circadian rhythm. So it involves about a 24 hour period. Sam Craft: So, is that maybe why a nap is not as satisfying to some people because they can’t fully get into a full rhythm or just a deep sleep? Sam Craft: So, power naps are a thing? Steve Bender: Power naps are definitely a thing. Sam Craft: Oh, power naps are amazing! I’m sorry please go on, I’d like to hear more about power naps. Steve Bender: So, I mean that’s a good point because what research has found is that a 10- to 20-minute nap is ideal for most people because you’re not really getting into deep sleep which is going to occur longer into the sleep period. So, you have this brief period of time, 10 to 20 minutes of sleep, and most people, they wake up feeling more refreshed. They don’t have that sleep inertia that we were talking about. And that seems to carry with them for a good three hours or so. Mary Leigh Meyer: I guess my problem is, that if I’m tired enough to want to sleep, it’s all just mental for me. It’s all my reaction to not being able to go to bed. Like go to bed and sleep, sleep. Sam Craft: Well are you like fighting it? Mary Leigh Meyer: I think I’m just angry that I can only sleep for 15 minutes, and so then I wake up…it’s just a personal problem. Steve Bender: Yeah, sounds very personal. You should see somebody. Did that come out loud? I’m sorry. Sam Craft: No, you’re fine. Mary Leigh Meyer: But, actually. Steve Bender: There are a lot of different reasons people nap. You know, it’s like okay, they’re sleep deprived so they feel like they need to catch up. Or they’re shift workers. Or some people kind of do it prophylactically. In other words, I’ve got this all-nighter coming up, I better take a power nap, if you will. And so, there’s that. There’s the reason that you’re taking a nap that can affect how you feel trying to go to sleep and then when you wake up. If you were to be sleep deprived, somebody that’s sleep deprived may need a longer nap than somebody that only needs a shorter nap. If you had good sleep, but you just, you like to take naps, well then you’re gonna be much more accepting to, you know, I got 10, 15 minutes here. I think I’ll just take a brief power nap. Whereas if you’re sleep deprived, that’s just gonna upset you. So again, there’s a lot of different rationales a lot of different theories, on what makes a good nap, when to take a nap, and then how we feel when we wake up from a nap. Mary Leigh Meyer: And what does it mean to be sleep deprived? Because I definitely was a little bit late to work today because I was struggling to wake up. So, I feel like I’m a little sleep deprived but I know I’m not because I got nine hours last night. Sam Craft: Maybe you slept too much. Steve Bender: Yeah it could be. Sam Craft: Yeah, that’s a thing. Steve Bender: You can feel more of that sleep inertia when you sleep too long because again, that’s gonna be more deep sleep during that longer period of time. But sleep time is not necessarily an indicator of good sleep. Most adults, we should sleep about eight hours. Anywhere from seven to nine hours. But it needs to be good quality sleep. In other words, going through all the sleep cycles, not being disturbed by our environment. Not being disturbed by how we’re breathing while we’re sleeping, or other sleep disorders that can be a result of what we eat before we go to bed or just within our own biology, things that are happening. Sam Craft: Maybe like a three-year-old kicking you in the side in the middle of the night? ‘Cause that’s what happens to my life right now. Steve Bender: That could definitely do it. A lot of people sleep with pets and we think, gosh, they’re really comforting to me and things like that, but you look at that pet sleep cycle’s gonna be way different than ours. I mean everybody’s seen their dog get up and kind of walk in a circle and then go back to sleep. Well if they’re doing that in your bed during your sleep period, that’s not real conducive to good sleep. Sam Craft: I guess it’s little things like that that you don’t really notice but they do affect your sleep. I had a sleep study done a little while ago for sleep apnea, and they told me that I woke up anywhere between 300 to 400 times in a seven-hour span, and I was blown away ’cause I don’t remember waking up at all. Steve Bender: Yeah, if we wake up for less than 30 seconds we really don’t remember it. Mary Leigh Meyer: Wow. And speaking of distractions, a big distraction for me, and I’m sure a lot of other people is, I play on my phone before I go to bed every night and sometimes I feel like that almost keeps me awake. Is that true or is that just how I feel? Steve Bender: That’s absolutely true for a lot of different reasons and you know all of us have become so addicted to our devices. Even to the point of some people will put them under their pillows so that they can hear it or feel the vibration. Or leaving it turned on, face-up, so if it lights up. But the science of the whole deal is the light emitted from these screens, what we call blue light affects melatonin production. So usually melatonin will start to be produced in our brain when it starts getting dark around dusk, which is gonna be 6, 7, 8 in the evening. And that’s when the sleepiness process starts to get underway. And so, we need that slow darkening to begin to feel sleepy so that we can sleep. And then, melatonin continues to be produced throughout the night, and that’s why we sleep in a dark environment. Now we throw in our devices with this blue-emitting light and that’s going to alter or even delay the production of melatonin. So, we don’t get sleepy, our body doesn’t cool down to enhance good sleep. Or if it’s popping up during our sleep period it’s gonna alter the normal production of this hormone, melatonin, so that we don’t sleep well. So, one thing that the tech companies fortunately have kind of caught on to is like, hey, let’s put a blue blocker on our devices. You can either punch a button or screen covers, or things like that. Or people can put on glasses or whatever to block that blue light to help the production of melatonin. Bottom line is, for healthy sleep we do need good sleep hygiene. We need to intentionally prepare ourself for sleep. And for some of us that means, okay, I gotta put this device away. I’ve got to rid my brain of the mess that’s happening during the day, the urgency. Let’s just calm down, let’s turn the TV off, let’s quiet the environment, let’s cool the environment. So that we can sleep better. Sam Craft: Well our child’s pediatrician, we took him in and we were talking about electronic devices. He’s three going on four, so he likes to get on the tablet. And, the doctor said, that’s fine, but you really should kill it an hour or two before bedtime to really kind of give your brain a chance to slow down. Is there an advised timeline for getting off your device at night? Steve Bender: Yeah, that means their devices, that means eating, drinking, watching. If something’s really intense on TV, just do something else. Sam Craft: Anything that’ll just kind of stimulate your brain into other things. Steve Bender: Yeah and in children that’s especially important. For a lot of different reasons but I see a lot of recommendations that say an hour tops screen time for kids. Mary Leigh Meyer: And what do you think about melatonin supplements? Is that good or bad? Steve Bender: Well my personal opinion is that it is good but we have to remember, melatonin is a hormone. It’s not a benign substance, it’s not a drug that we add. So that’s good and bad. It’s a naturally occurring substance. And for some people, really small doses being like three to five milligrams taken at dusk can be very helpful. But anytime we start throwing artificial or extra hormones into our body, it’s gonna deplete the natural production of that particular hormone. So, we have to consider that. That over time our normal production of that hormone could be diminished. Now it’s gonna diminish anyway. That’s why as we age it gets less and less and that’s why for some people, supplementation is good. But in small amounts around dusk. It’s probably much safer than a lot of artificial agents that we take. You know, sleep aids. Sam Craft: It works wonderful for me. ‘Cause I take it occasionally and man, one three milligram and I am out within like 45 minutes. Mary Leigh Meyer: I feel like I can fall asleep whenever at any time of day. For any length of time. Sam Craft: I can see that. Mary Leigh Meyer: Sometimes, if I get annoyed at something or if I get angry I’ll take a…I call it a rage nap. Sam Craft: A rage nap. Mary Leigh Meyer: Quit the situation, sleep for an hour or two. But obviously I can’t do that every single moment of the day or else work would have something to say. Sam Craft: No wonder you’re so angry, you sleep too much! That’s why you’re angry. Steve Bender: Yeah, I’m sensing some problems here but we can talk about that later. Mary Leigh Meyer: And speaking of sleep hygiene, you mentioned temperature. Does temperature play a role in making you sleepy? Steve Bender: Yeah, I mean internally that circadian clock that we were talking about earlier, when that starts to shift toward a sleep period if you will. Our body temperature does start to decrease. So, we can help that process along with colder sleep environments. So, for some people just lowering the thermostat for the sleep period helps them sleep better as opposed to as if it’s too warm it’s going to combat what the body is trying to do by cooling down our system. So yeah, a cool environment is definitely going to be more conducive to good sleep. Sam Craft: So, I’m not weird when I go to the hotel and I turn the AC down to like 65 or like 62? Just to freeze the room ’cause I just really love getting under a warm blanket and sleeping in a cold room. Sam Craft: It’s not just me? Steve Bender: No, it’s not just you. Unless you want it to be just you then we could call you special. But in reality, it’s everybody that we tend to do better with colder environments. In fact, we tend to feel more secure with blankets on. Now I don’t know the science to that, I know I’ve read about it. But we tend to feel more secure with these heavy blankets on us. Mary Leigh Meyer: Yeah, I’ve heard good things about those weighted blankets. Steve Bender: Yeah. I’ve heard and read a little bit but I’m not gonna claim to be an expert on that. Sam Craft: I feel like I would wake up and be feeling like I was trapped. Mary Leigh Meyer: Well apparently, I read about it—granted I don’t know if I’ve read anything credible about it—but I’ve read that they’re good for anxiety. Like, they make you feel secure. Sam Craft: I guess kind of like a storm vest for like dogs or whatever. Like the thunder-vest or whatever they call them. Mary Leigh Meyer: Like a burrito wrap for a person. Sam Craft: Like a really tight, yeah I gotcha, okay. Mary Leigh Meyer: And then does a diet have anything to do with creating a good sleep environment? I’ve heard you’re not supposed to eat sugar right before you go to bed, that kind of stuff. Steve Bender: Yeah, I mean diet can definitely play a role but I think the most important thing is just not to eat or drink within about three hours before bed. So that we can let the metabolic, or the processing kind of do its thing. Because if we start throwing food into our system right before bed, then it’s gonna try to convert that into energy which is going to heat us up and stimulate our brain. So, we definitely want to watch what we eat but probably more importantly when we eat it. Sam Craft: So that’s a good point. Is there an advised time of when not to eat past? Like not to eat past 8:30, or I guess more along the lines of don’t eat this close to your bedtime. I know people have a lot of different sleep schedules. Steve Bender: Well, at least three hours before bedtime. Steve Bender: Yeah. Seems to be the consensus on timing for food. Mary Leigh Meyer: And do you know anything about when you eat a big meal? Sometimes it just makes you sleepy. Sam Craft: Oh, like Thanksgiving. Mary Leigh Meyer: Yeah, the Thanksgiving. Post-Thanksgiving nap. Steve Bender: Yes, as a matter of fact I do. Do you want me to talk about that? No, I’m kidding. With that circadian cycle we tend to have not only at bedtime but about midday, about 12:00 to 2:00 there’s a dip in that cycle where we just naturally feel more prone to go to sleep. So, you think about when you eat lunch, or especially a big lunch, is going to be around that time period. So, a lot of people think, wow, I just ate a big meal, now I’m really tired because of that. Where it could be yeah, a little bit of that. In other words, we ate too much now a lot of energy is being used to try to process that meal. But it also goes along with this circadian dip. This naturally occurring time in our normal 24-hour cycle where we’re gonna feel sleepy anyway. So, getting back to napping, some people feel like they do really well if they nap after lunch. Because that’s when we’re most sleepy and it just seems to be an easier time to fall asleep, take a little nap. Then on the converse of that, when the person wakes up they’re going to be more prone to that inertia or that feeling of grogginess because they were more sleepy for the nap. Does that make sense? Sam Craft: Yeah, yeah, total sense. I still believe in power-naps though, we’ll stand by them. Steve Bender: Well, yeah, you should just die on the hill with that one. That’s a good one. Mary Leigh Meyer: Have you heard anything about split-phase sleeping, where you sleep for four hours, wake up, do some things, go back to sleep for four hours, and then wake up for your day? Steve Bender: I’ve heard a little bit about that it’s probably not new, but it’s being considered as this new trend of phase sleeping or whatever. I don’t know a lot about it but I do know that it’s kind of being modeled after early man. In other words, they didn’t have these longer sleep periods. They kind of phase slept whatever the word is. For protection, for hunting. So, when we look at sleeping eight hours and then being awake for eight to 12 hours that’s more of a more modern tradition. But I think trying to change to something prehistoric if you will, would be difficult because our genetics our biology has changed over time to be adapted to what we do now. In other words, we sleep for eight hours which is considered healthy, and then we stay awake for the remainder of the day or we nap. Sam Craft: In your time with the sleep studies that you’ve done and all the sleep research everything that you’ve done and the people that come in to see you, what are the most common things that you see people coming in for help? Steve Bender: Being that I have a pain clinic, most people that I see, that’s going to be usually their primary complaint. Now I do see some people that just want to see me for sleep. They’ve got what we call excessive daytime sleepiness. And that’s just basically, I forgot your term. Steve Bender: Where they just don’t feel good because they’re not sleeping good. They know they’re not sleeping good. They may or may not be aware that they snore or stop breathing so there’s that group. But most of the people I see have some kind of pain complaint. And it’s very interesting that if we look at sleep and pain usually, you’d think, well, pain is affecting sleep. But the research tells us that were more prone to have a pain condition following a period of poor sleep. So, when we see our pain patients we do ask a lot about sleep and some of the things that they will then also tell us is, yes, I feel tired when I wake up in the morning. I’m not a morning person. Or I have insomnia. In other words, I can’t sleep. Sometimes the brain can play tricks on us where we think we’re not sleeping, but we actually are sleeping but our brain tells us we’re not. Insomnia, feeling bad in the morning, anxiety, depression. Sometimes people will say they wake up and say their hearts racing or their moving around a lot in sleep. Those are just a few of the things that we hear but those are probably the most common. Mary Leigh Meyer: I have a pretty big question for you right as we’re just about to wrap up. Can you explain a little bit about why sleep and pain is associated with the College of Dentistry? Steve Bender: That’s a great question. I get asked that very frequently by not only patients but students and sometimes faculty. One of the easy answers is that when students are surveyed, probably five years out of dental school, one of the most common things that they say that they missed or they didn’t get enough of in dental school is pain. How to diagnose pain, how to treat pain because that is the number one thing people go see any kind of clinician for. Whether it’s their physician, nurse practitioner, it’s usually a pain complaint that drives somebody to seek care. Well obviously, in dentistry, we see a lot of pain conditions and traditionally we’ve been taught these very mechanistic ways. In other words, see a problem, fix a problem. Well we get out of school and sometimes we don’t see a problem. So, it becomes harder to fix a problem. So, with these surveys it was brought to the attention of some people at the school that here is this dentist out in the community that does treat pain, maybe he’d be interested. So, we were brought in to help with that. To help students identify patients with pain. Also knowing what we know now about pain and the interrelationship with sleep those two go together really nice. So not only are we trying to teach students about diagnosing pain that they can’t see but also interviewing patients more effectively finding out not just where it hurts, how does it feel but what else is going on in your life? How are you sleeping? How are you eating? What kind of activities are you doing? So, it’s a more holistic approach to looking at our patients. Mary Leigh Meyer: Hopefully, we can change the world one nap at a time. Sam Craft: One nap at a time. Steve Bender: That’s a bumper sticker. Sam Craft: Yeah it is, I like that. Mary Leigh Meyer: Thank you Dr. Bender, for coming on the show with us. Sam Craft: Yes sir, thank you so much. Mary Leigh Meyer: And this has been another episode of Sounds Like Health.